Budhanilkantha - Gosainkunda Trekking is a combination of pilgrimage and Himalayan adventure to two of the holiest sites in Nepal- the temple of Budhanilkantha and Gosainkunda Lake (4380m). In this trek, you will have plenty of opportunities to enjoy superb views of the Himalayan peaks as well as appreciate Nepal's cultural and natural biodiversity. Budhanilkantha - Gosainkunda Trekking begins with a 1-hour drive to Budhanilkantha. The 7th-century temple hosting an impressive reclining statue of Lord Vishnu is perched on the northern edge of Kathmandu, on the foot of Shivapuri hill. This is where your trekking starts as you climb up the Shivapuri National Park, one of the youngest parks, full of wildlife activities. Enroute you will visit two beautiful lakes, Sagarkunda (2915m) and Yeklekunda (3800m). 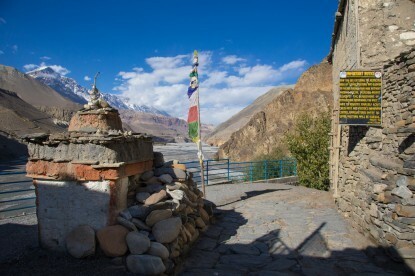 The trekking trail passes through scenic traditional villages, terraced farms, streams and green hills. The green dense forests are covered with rhododendron and pine trees that come alive with the chirping of birds and other wildlife. 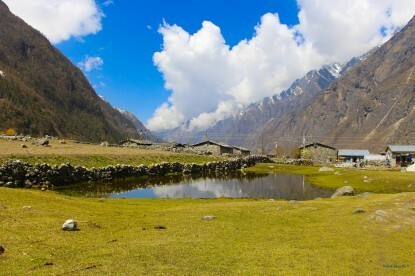 The views of Himalayan peaks will greet you throughout the trek. This becomes more prominent as you enter Langtang National Park towards Gosainkunda Lake. 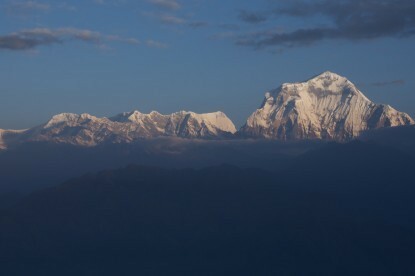 Langtang Lirung, Dorje Lakpa, Gaurishanker, Rolwaling, Langtang, Annapurna Ganesh Himal, Manaslu, Lakpha Dorje are some of the peaks visible from the Lake. Gosainkunda Lake is one of the holiest lakes in the Himalayas, visited both Buddhists and Hindu pilgrims. 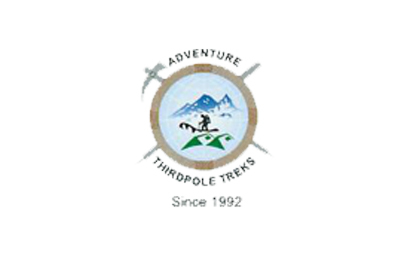 Budhanilkantha - Gosainkunda Trekking has been designed by Adventure Thirdpole Treks in order to open a new way and promote an isolated but interesting region of Nepal: the District of Nuwakot. Drive to Budhanilkantha (1400m) by bus - 45 minutes and commence trek to Alchhe (1790m) - 4h. Alchhe - Mane Banjhyang (1780m) - 5h. Mane Banjhyang - Baghmara (1825m) - 6h. Baghmara - Sagarkunda (2470m) - 5h30. Sagarkunda - Yeklekunda (4200m) - 7h. Yeklekunda - Gosainkunda (4380) - 7h. Gosainkunda - Rahu (3785m) - 6h. Keep walking from Rahu to Kalche.